- The application allows the user to track their trip around the world. - The user can create a trip and add stops to it. 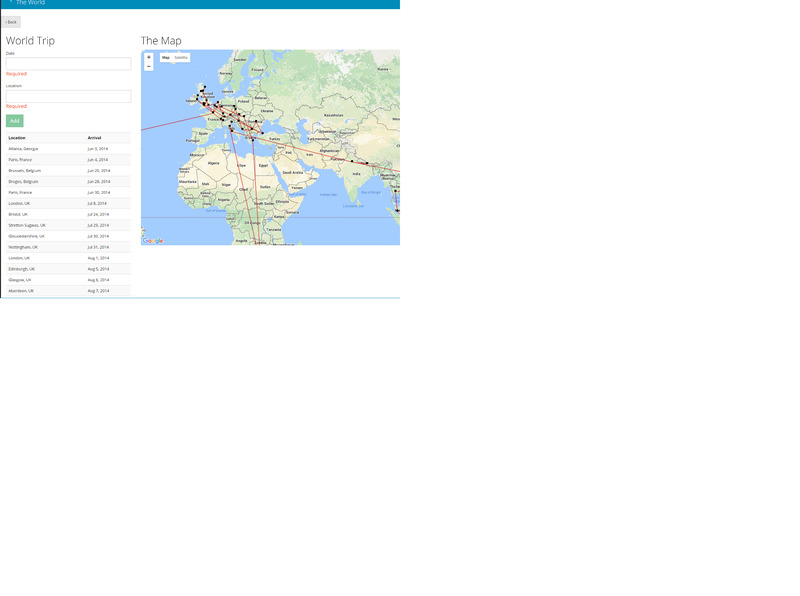 - The application displays a map containing the stops the user took while in the trip. - Used the ASP.NET CORE MVC. - Front end: HTML5, CSS, Angular, Bootstrap. - Back-end: Entity Framework Core, C#. - Tools: Microsoft Visual Studio 2015, Postman.